Recently, I was browsing through some of my old photos and came across a series I took in 2004, back in my Canon days with the 10d. About a week after I retired from flying airplanes for Delta Air Lines, I struck out on a solo photo journey through part of the great American southwest. The main points of interest on my itenerary were those awesome national parks: The Grand Canyon, Monument Valley, and Canyonlands. 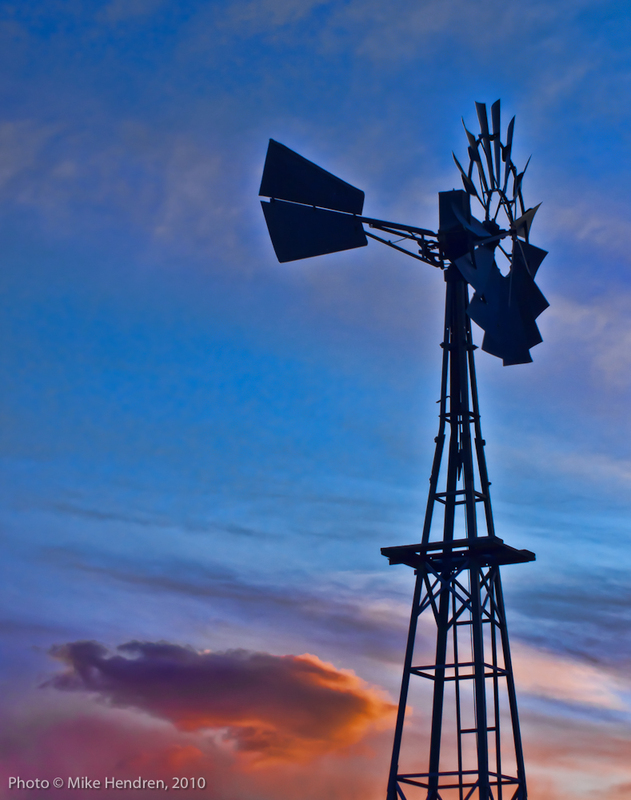 My neighbor’s windmill made a stunning profile against the evening sky and sun lit clouds.